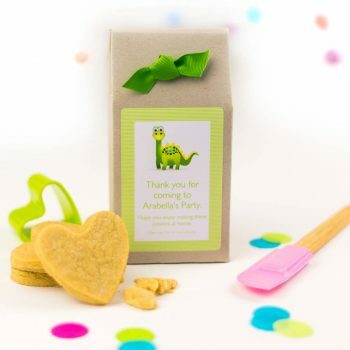 Children and parents love our Party Bags which contain a delicious Rich Shortbread Biscuit Mix to bake at home. 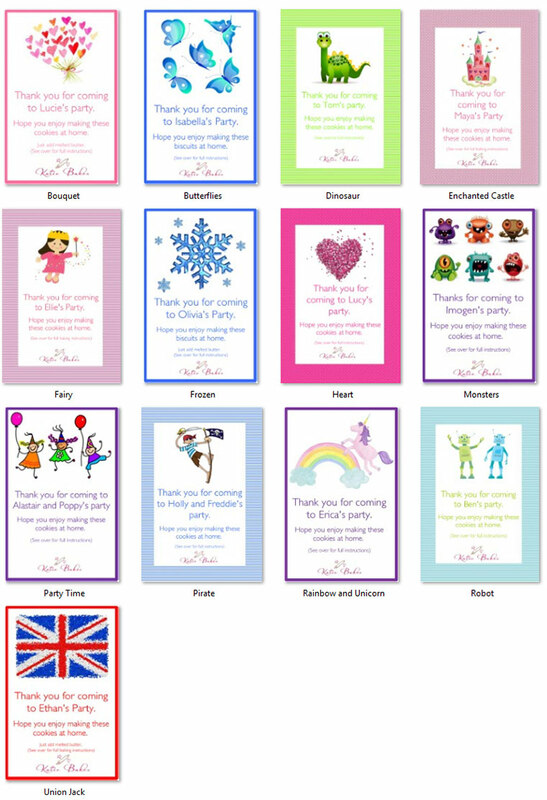 Available in a range of designs, personalised with the party child’s name. Enter the Party Child’s Name (or names). 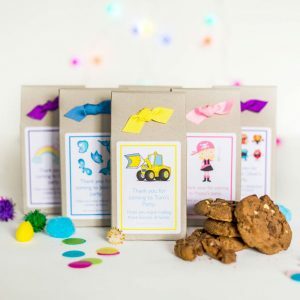 Our Shortbread Mix Party Bags are presented in stylish packaging (made from recycled board) with your choice of themed labels which include the party child’s name. Full instructions to bake at home are included. Makes approx 15 biscuits (depending on the size of your cutter). Ingredients: Flour (wheat), Sugar (sugar and cane molasses). Place your order via our website and enter the details of the Party Child’s Name and the date that you require your order by. Alternatively give us a call. 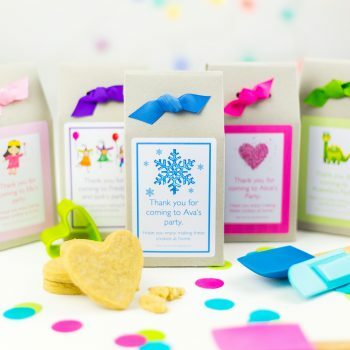 Please allow 7 days notice for ordering party bags to ensure delivery in time for your special day. However, if you need them earlier, please call or email us as often this is possible or select the Two Day Delivery option. We can include more than one party child’s name on the labels and labels can be customised for your individual needs.